How much does a San Diego wedding DJ cost? Wedding DJ prices can vary greatly depending on many factors including your wedding’s location, the type of package you’re looking for, and your chosen DJ’s experience and level of expertise. 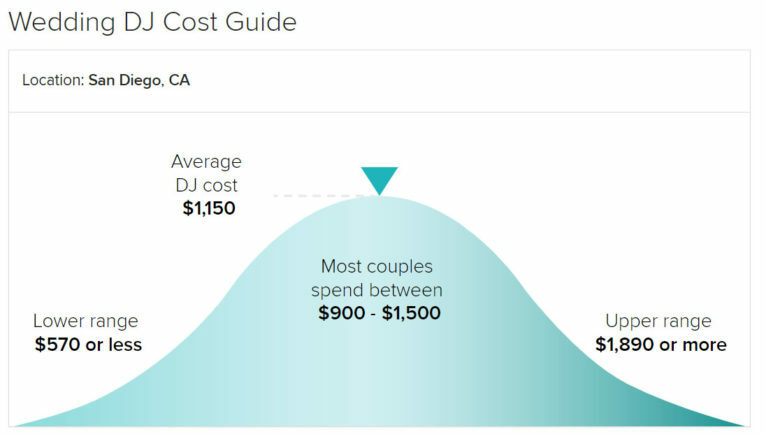 If you’re considering hiring a DJ to play music at your wedding, keep in mind that the average wedding DJ cost in the U.S. is around $1,000 with most couples spending between $750 to $1,400. Couples are spending more on their wedding DJ nowadays than in past years as they are devoting more of their wedding budget to their guests’ experience, focusing more on music, food and more. What services do wedding DJs offer? A wedding DJ plays recorded music throughout your wedding reception (and perhaps your ceremony if you aren’t hiring live ceremony musicians), and may also serve as the emcee for the event. This mean that he or she will make announcements at appropriate times, introduce those who are giving toasts, and basically “run the show.” A great DJ not only has an outgoing and energetic personality, but also can “read a crowd” and play the appropriate music to ensure your dance floor is packed all night long. DJs usually provide their own audio/visual equipment and some DJ companies also provide services such as lighting, photo booths, video screens, and more. What is included in a wedding DJ’s price? Time: Not only does the cost of a wedding DJ include the hours he or she will be performing at your wedding, it also includes the time it takes for your music pro to prepare for your big day. Before your wedding, your DJ will spend time creating your playlist and a unique script for your wedding. And on your wedding day, your DJ will travel, set up, perform, and break down—note that if he or she has to travel a long distance to your wedding, you may incur an additional charge. Equipment: The last thing you want on your wedding day is for your DJ’s equipment to break—so part of a DJ’s fee goes to purchasing and maintaining the most up-to-date equipment including (but not limited to) speakers, microphones, and more. Music: It’s true—your DJ actually has to buy his or her music, and you certainly want to make sure that he or she has lots of songs from which to choose! Operational costs and insurance: These include things like paying rent on an office, business licenses, and marketing costs. 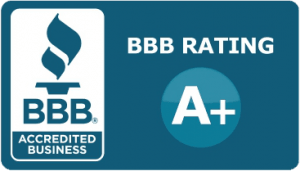 You’ll also want to make sure that your DJ is insured—this protects you, your DJ, and your venue in the unlikely event that equipment is damaged or someone is injured due to your DJ’s equipment. When should I book my wedding DJ? Wedding DJs are among the first vendors a couple books. We recommend hiring your music pro at least eight months before your wedding day. You will likely meet with your wedding DJ at least once before your wedding date, probably two to six weeks beforehand, to discuss your playlist, your timeline, and any other important details. Do wedding DJs also provide lighting? Have you provided lighting at my venue before? What types of lighting can you provide? Can I see photos of your past work? How much will lighting cost? What equipment do wedding DJs provide? Your wedding DJ can provide a variety of equipment, depending on your needs. A typical sound system for a wedding DJ includes a DJ deck or controller, speakers, microphones, and headphones. 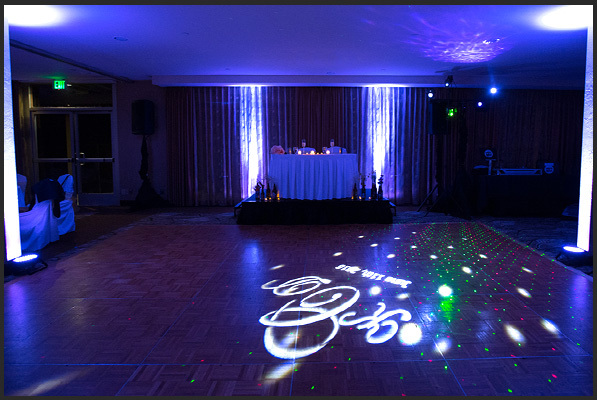 As mentioned, some DJs can provide lighting as well as video screen and projection equipment in case you want to show a video during your reception (hello baby photo montage!). 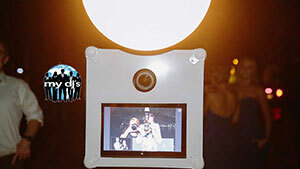 There are also some fun extras your DJ may offer including photo booths and karaoke machines. How can you save money on wedding music? Hire a DJ: DJs tend to cost less than wedding bands (on average, a band can cost $3,000 more than a DJ). Pick the right date: Some DJs offer discounts for weddings that take place during the off-season (November through February in most parts of the country) or on a day that isn’t Saturday. Shop around: There are different wedding DJs that will work with different wedding budgets. 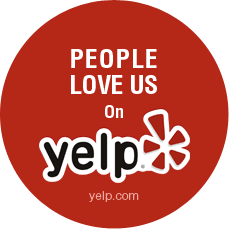 Read reviews of wedding DJs near you, and don’t be afraid to reach out to a few to find out more about their services. Limit the hours: The more time your DJ performs, the more you’ll pay. If there are ways to shorten the performance time, you can save some money on your wedding DJ cost. Do you have to tip your wedding DJ? Don’t forget to factor tips into your wedding DJ budget. We recommend tipping your DJ between 10 to 15 percent of the total bill. What questions should I ask a wedding DJ before hiring? Are there specific genres of music that you specialize in? How will you work with us to create a wedding playlist? What are your favorite first dance songs? How many breaks do you require? 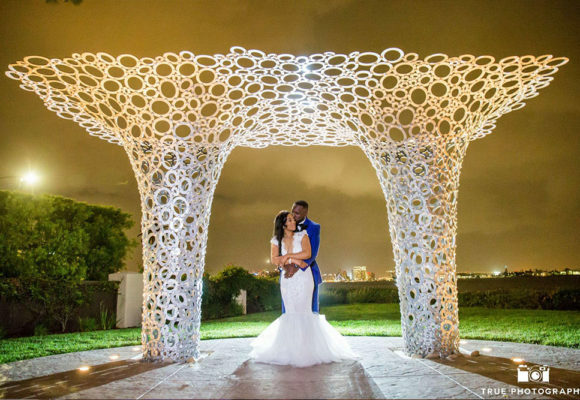 Do you offer additional services like lighting, photo booth, etc.? Tom Hams Lighthouse Wedding DJs!